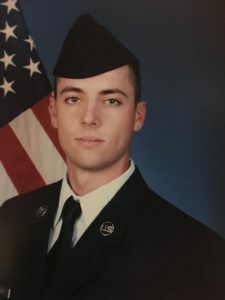 Our oldest son, Will, recently graduated from Air Force Basic Training at Lackland AFB, San Antonio, TX. We were able to make the drive down there to see him graduate. It was a very special weekend for our family. We were able to watch him march with his flight to receive his coin, tour his dorm, watch him march in parade, say his oath, tour the base, and take him off base to see San Antonio. On Sunday, we attended church with him on base. The pastor talked about “Grief” that Sunday. He listed all sorts of losses that cause grief. One of the losses that I particularly remember was the loss of health. Health is one of those things many people take for granted. Some don’t even think about health until they have a problem with it. Loss of health is very devastating – we’ve seen this in our office over the years: fathers and mothers unable to provide for their family because of debilitating pain, children unable to attend school regularly, retirees unable to enjoy retirement. The pastor, himself, faced a health problem that threatened to end his military career. It was a good reminder to take care of ourselves. We are each ultimately responsible for our own health. The body is constantly regenerating cells – remarkably every few years we have a completely new body. The things we do, eat, read, and consume today are the things our bodies use to make the new cells tomorrow. For all your chiropractic needs, call our office for an appointment or just walk in during office hours.